CustomerGauge is a customer insight technology company featuring a Software-as-a-Service (SaaS) platform that automatically measures and analyses customer feedback. The platform includes closed-loop tools to retain customers and reduce churn, all based on the industry standard metric Net Promoter System. 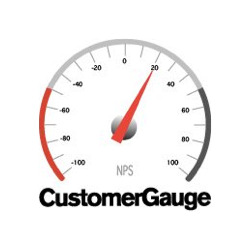 CustomerGauge is a Software-as-a-Service (SaaS) platform that automatically measures and analyses customer feedback. The platform includes closed-loop tools to retain customers and reduce churn, all based on the industry standard metric Net Promoter System.